Our commercial window cleaning company in Peoria, Arizona specializes in interior and exterior window cleaning and window washing services. Does your Peoria property need commercial window cleaning services? 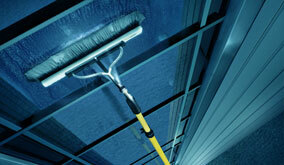 AZ Window Cleaners window washing service is very popular with our Phoenix commercial clients. At AZ Window Cleaners safety is one of our top priorities. We hire only the most qualified, experienced, and safety-conscious window cleaners in Peoria to perform our window cleaning services. When cleaning windows on low-rise buildings up to 4 stories, we can use ladders or lifts; however the most common method AZ Window Cleaners use is our water fed poles that leave a spot free finish. 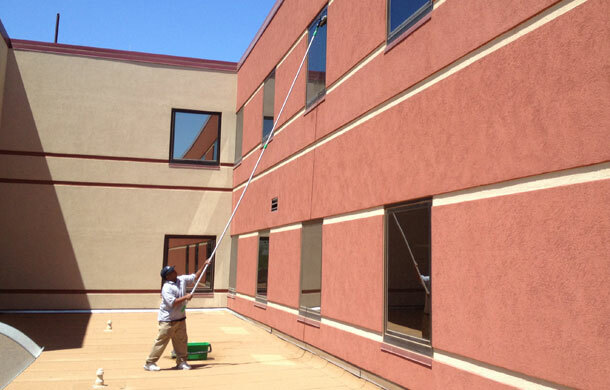 We understand that there are many commercial window washing services that you can choose from in Peoria, Arizona. By choosing window cleaning services provided by AZ Window Cleaners we guarantee you high quality service and spotless windows. Everything looks better, inside and out, when your windows are crystal-clear, streak-free and surrounded by grime-free frames. Life gets brighter – and your curb appeal and home value get higher, too. 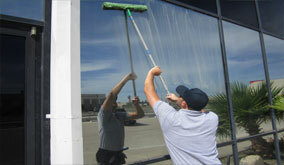 Call AZ Window Cleaners for commercial window cleaning & window washing services in Peoria, AZ.